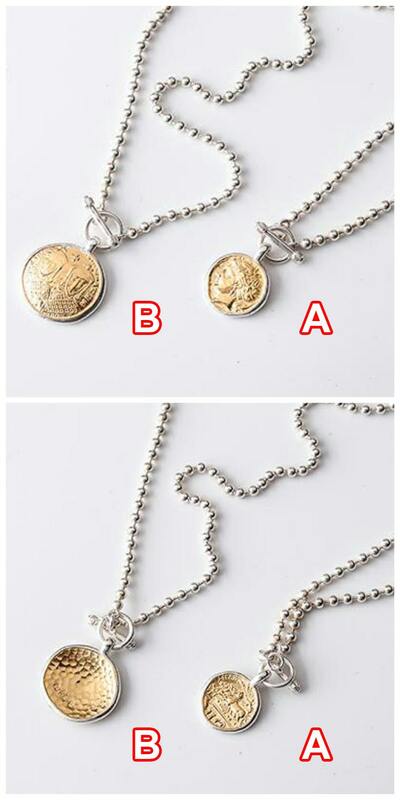 This ancient coin necklace will appeal to fans of vintage-themed jewelry, but really, anyone who likes simple, elegant jewelry, will like this piece. The Greek coin pendant - the centerpiece of the coin necklace - is based on the design of an actual ten Drachma coin - in circulation around 2400 years back in Greece. Legend has it that the famous sculptor Kimon had designed the coin. 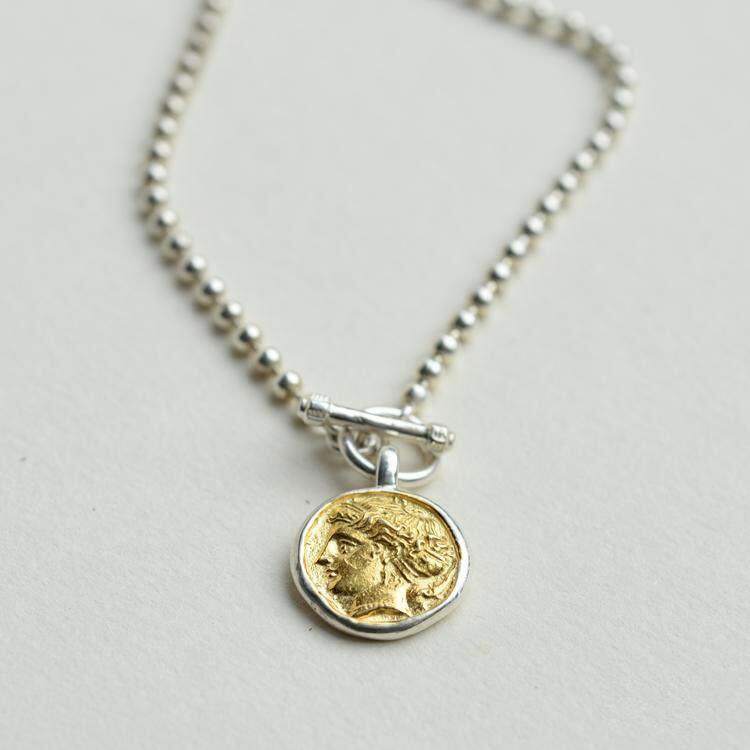 100% handcrafted, the ancient Greek coin design is created in 925 sterling silver, and plated with 24 karats gold on both the faces. 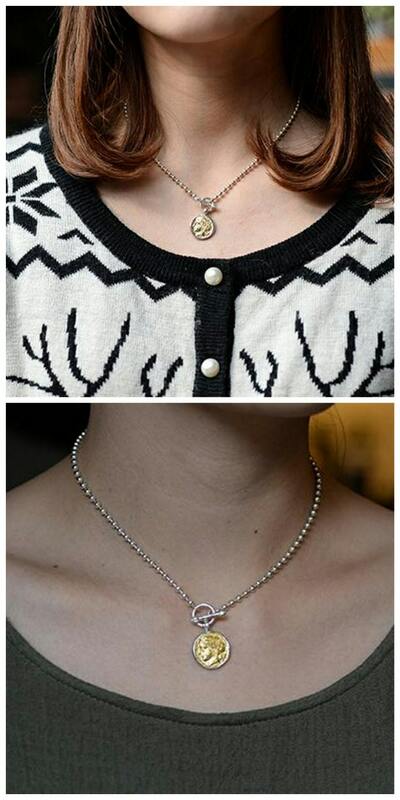 The thin silver chain that supports the centerpiece charm, crafted with ball links, works ideally to highlight the charm. 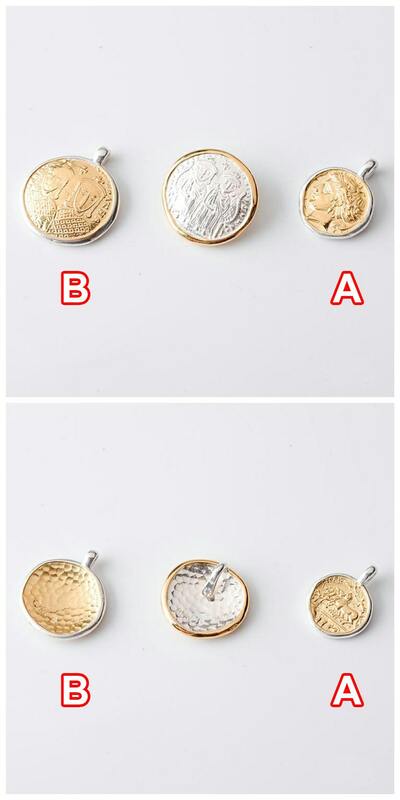 The Greek coin silver charm is available in two size options. 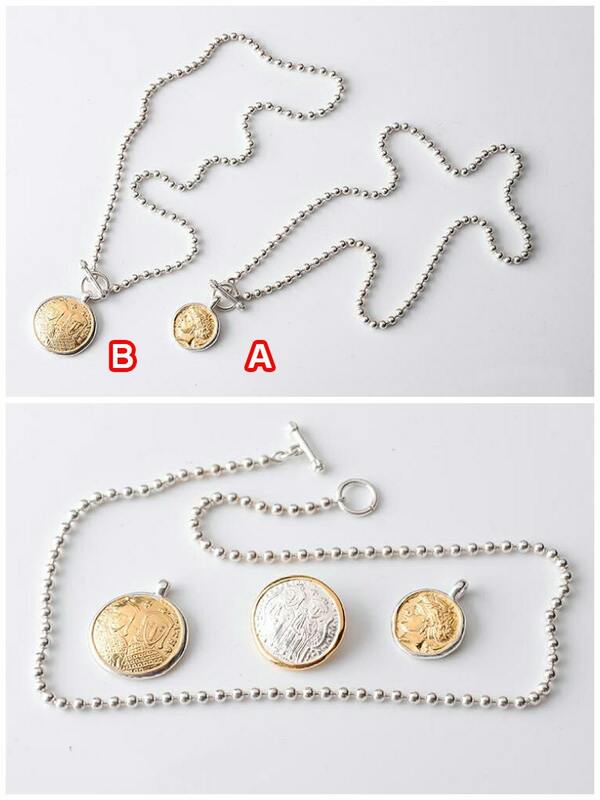 Silver Link Chain Length Options: 38cm/15inch, 40cm/15.8inch, 45cm/17.7inch.